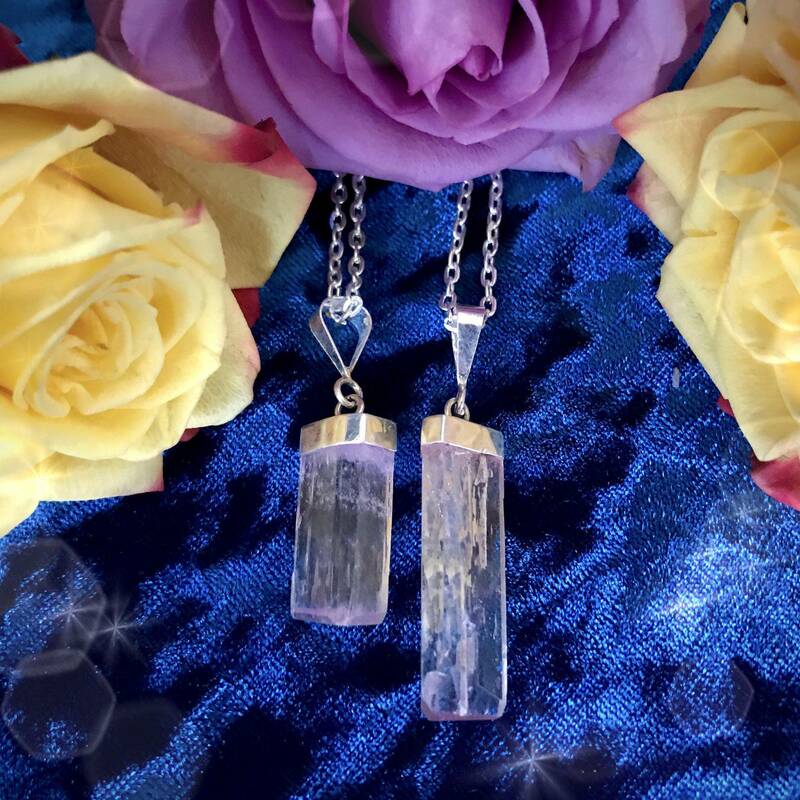 The energy that these Familial Healing Kunzite Pendants exude is so powerful. Whether your relationship with your family is in need of healing or you simply want to strengthen the bond you already share, these pendants will lead the way. Set in sterling 925 silver, adorn yourself with one of these stunning pieces to channel energies of peace, harmony, and strength into your spirit and home. Kunzite is the stone of healing relationships. This gem brings strength, attention, care, resolution, and renewal to the bonds you share with others. Do you have a relationship in your life that isn’t working quite as well as it should be? Is there someone in your life who you don’t want to give up on, but you just can’t seem to see eye to eye and your attempts at communication always end up jumbled and misconstrued? Well, you’re certainly not alone – and that’s why I knew I had to offer these sacred pieces. 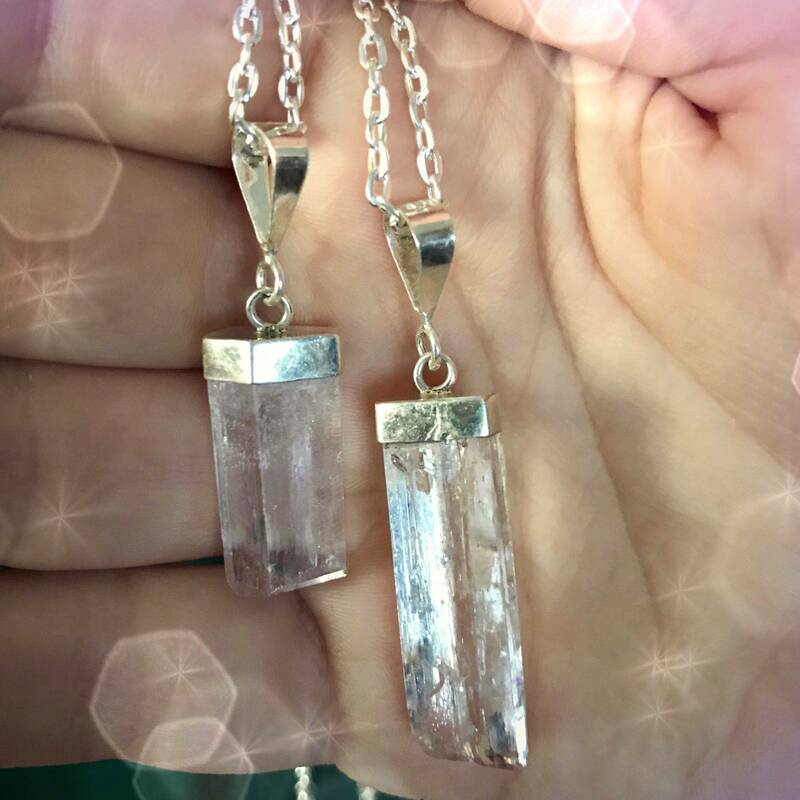 Adorn yourself with your Familial Healing Kunzite Pendant as you meditate or simply as you go about your day. Envision it surrounding you in a protective bubble of tranquility, understanding, and connection. As you wear yours, allow it to show you what you need to do and understand in order to come to peace with those you are in a relationship with. May this offering serve you well; may it support, nurture, and guide you as you walk your soul path. 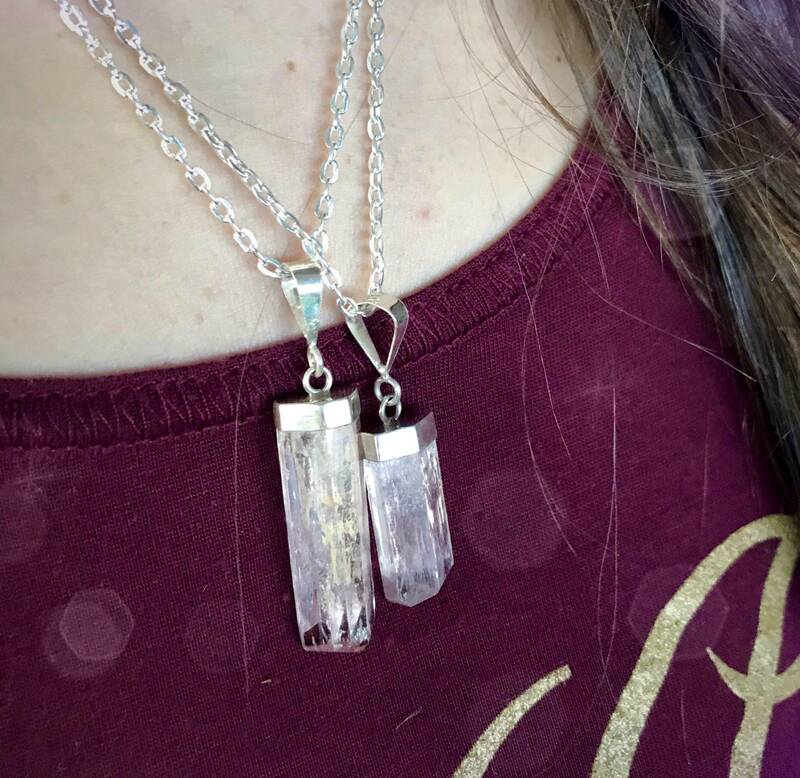 This listing is for one (1) Familial Healing Kunzite Pendant. I have two sizes to offer you: Small (about 0.75-1”) and Medium (about 1-1.25”). Yours will arrive lovingly parceled along with a single leaf of white sage and a card describing the properties of the stone. I just love the unusual cut of this stone, I ordered the medium size which is perfect. It is so pretty and gentle, just what I needed for healing relationships. Thank you! I ordered this twice. I really like the cut on the Kunzite. Lol, So, yes if you’re wondering to buy one, do it. I’ve seen them in other stores or online. I just never liked the cut before. Thanks SG!